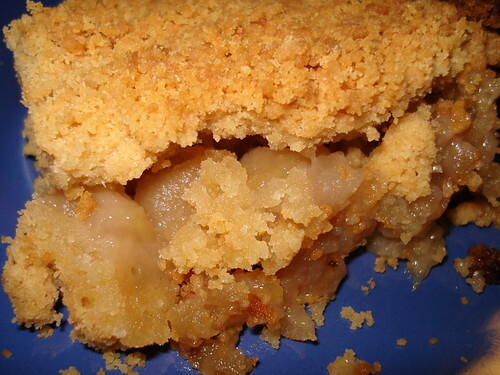 Homemade Apple Crumble, originally uploaded by Camemberu. Am I on a baking spree? Well, baking something once a week is not a lot...although it's more than I've ever done in my entire life. I tried a really simple apple crumble recipe, something idiotproof for a baking noob like me. The end result was too sweet for my liking. I'd halve the sugar and double the fruit, if I ever make it again. Looks like you're in a baking mood. The apple crumble looks good.